DETROIT -- The U.S. Department of Transportation said today that electric systems and electromagnetic interference did not play a role in unintended acceleration involving Toyota Motor Corp. vehicles. It was a major victory for Toyota, which has sought to recover from a recall crisis and accidents allegedly linked to unintended acceleration in some of its top-selling models. "There is no electronic-based cause for unintended high-speed acceleration in Toyotas," U.S. Transportation Secretary Ray LaHood said today in a statement. The National Highway Traffic Safety Administration launched the study 10 months ago at Congress' urging. With the help of NASA engineers, the study sought to determine if cases of unintended acceleration in Toyota and Lexus vehicles were caused by something other than sticky gas pedals and trapped floor mats. NASA examined nine vehicles with alleged braking problems and subjected them to electromagnetic interference testing. Engineers also looked at software codes to detect any flaws that could disrupt the electronic throttle control. In August, the government said it had not found any problems with the software-driven electronic systems in Toyota vehicles during the first six months of the study. 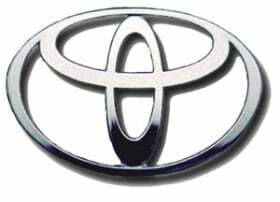 Toyota, which has used electronically controlled throttles in its vehicles since 2002, has said its own tests ruled out electronic interference as a possible cause. The probe by NHTSA and NASA engineers found that the only causes of the unwanted acceleration were the previously identified sticking accelerator pedals and loose floor mats that could jam the pedals. Those problems were the root of massive recalls in 2009 and 2010 that rocked Toyota to its foundation and saw President Akio Toyoda come to Washington a year ago to tell U.S. lawmakers he was "deeply sorry." The study by NASA and NHTSA indicates most of the unintended acceleration complaints were related to incorrect pedal application, said David Strickland, NHTSA administrator. In response, the agency plans to launch a long-term study into the placement and design of pedals in vehicles to see if accidents can be reduced. It also plans to consider three more requirements in future vehicles: mandatory brake override systems, standardized keyless ignition systems and mandatory data event recorders. LaHood said he gives Toyota credit for proving its interest in safety throughout the recall process and the investigation period that followed. Toyota has recalled more than 18 million vehicles globally since the fall of 2009 -- including more than 5 million for floor mats and more than 4 million for gas pedals. The Japanese automaker has paid $48.8 million in fines in three separate penalties and faces hundreds of lawsuits. U.S. regulators are looking into 89 deaths that may be associated with sudden acceleration in Toyota and Lexus vehicles but have so far linked only a handful to the floor mat problem. Although the electronic throttle investigation turned up no flaws that would prompt another massive recall, Toyota still faces significant risks from scores of civil lawsuits stemming from the recalls. Those cases in federal and state courts, which may turn on the timing of company disclosures to regulators of already established defects, have an estimated potential liability of up to $10 billion. The previous record safety fine paid by an automaker was $1 million by General Motors Corp. for faulty windshield-wipers in vehicles made in 2002 and 2003. “Toyota welcomes the findings of NASA and NHTSA regarding our Electronic Throttle Control System with intelligence (ETCS-i) and we appreciate the thoroughness of their review. We believe this rigorous scientific analysis by some of America's foremost engineers should further reinforce confidence in the safety of Toyota and Lexus vehicles. We hope this important study will help put to rest unsupported speculation about Toyota's ETCS-i, which is well-designed and well-tested to ensure that a real world, un-commanded acceleration of the vehicle cannot occur. • Toyota's ETCS-i has performed reliably in more than 40 million cars and trucks sold around the world, including more than 16 million in the United States. • This system has also made possible significant safety advances such as vehicle stability control and traction control, which are among the five sophisticated accident avoidance technologies in Toyota's Star Safety System. • These enhancements, along with Toyota's Smart Stop Technology braking system, are now standard on all the new vehicles Toyota manufactures for the North American market.